The quality and amount of light coming through your windows is dependent on which direction the room faces, whether it is north, south, east or west. In turn, the room’s aspect should be something you carefully consider when choosing colours to decorate. The colours we choose to paint on our walls, the colour of our furniture and even the clothes we wear are all affected by one thing…light. Colours can make things look larger, smaller, brighter or darker and can play a huge part in our mood and the way in which we interact with people and our homes. 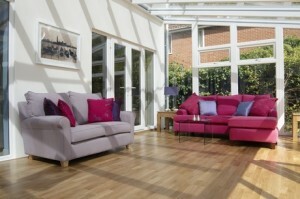 If you are considering redecorating your rooms, what should you consider when choosing colours? – What time of day the sun shines into the room. – Does the colour make you feel calm and relaxed or angry and disorientated? – The size of the room to be painted. – The colour used on the floor and ceiling. – The colour and positioning of the furniture in the room. – The style and colour of curtains or blinds at the window. – What lighting is in the room? Will the paint colour look different bathed in artificial light in the evening? Once you have chosen your perfect colour always remember that paint turns darker when it dries. If you cannot make up your mind when choosing the final colour, hanging a large sheet of non-absorbent white paper on the wall and paint with the colour(s) you have chosen. However, it might be easier and much cheaper to paint a small test area directly onto the wall. Colours make a huge difference to our mood, well-being and psyche. Our eye is naturally orientated and drawn to the colours that it finds comfortable at different times of the day and that we are happy to live with. If you have walked into a room while you have been out and did not feel comfortable, but could not immediately understand why, think about the colours that were on the wall or being used as accents. This will give you an indication as to what you would be happier having on your walls at home. 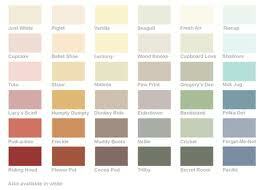 Have you ever considered what colour suits rooms that face the following directions? North facing room; the light in this room does not change too much during the course of a day. Use a colour with warm undertones, perhaps red or yellow. Using a deeper colour will add a dramatic effect. South facing room; the light in this room gets very bright during the course of a day so a muted or naturally cooler colour is best in these situations. East and West facing rooms; these rooms get a similar amount of light, either first thing in the morning at sun rise or later in the afternoon as the sun sets. The strength of the paint colours change according to the seasons. Use neutrals, creams, or warmer colours with a tinge of pink, blue or green that will warm the feel of the room. How do Colours make us feel? Red is an energetic colour. It is used in rooms where people meet such as dining rooms and lounges as it can stimulate conversation. Red in a bedroom may make it difficult for you to relax and get to sleep as it is a stimulating colour. Yellow and orange are considered as bright, happy and exciting colours. Blue is a calming colour, but the darker the colours it may make you feel sad. Green like nature outside is considered to be a comforting colour; it is popular in kitchens and lounges. A strong colour painted on all the walls of a room maybe too oppressive, but used just on one ‘feature’ wall will make it a feature, adding a blast of colour to the room, making a striking feature that we can enjoy, making us feel good. Natural colours are around us every day and the shade that we choose is important as it soothes our mind and aids our well-being. I remember painting my north east facing kitchen in a darkish red. What a mistake! While I was painting, the walls seemed to move in on me, the room got smaller with every brush stroke. Once I had started to paint, I had to finish. However, during the darkest months of the year it felt very cosy at night, but too dark during the day. The colour I had chosen had looked wonderful on the wall of a hotel room in South Africa, where the southern light had bounced off the colour in a very different way to how it did back in my own home. Don’t be disappointed if the colour that you loved on holiday does not look the same when you’re at home and it is lit by the northern light. When Spring arrived I was only too pleased to paint the room magnolia/white. Although it took four coats of emulsion to cover up the dark red, what a relief it was for the walls to seemingly move back out and the room to get larger.